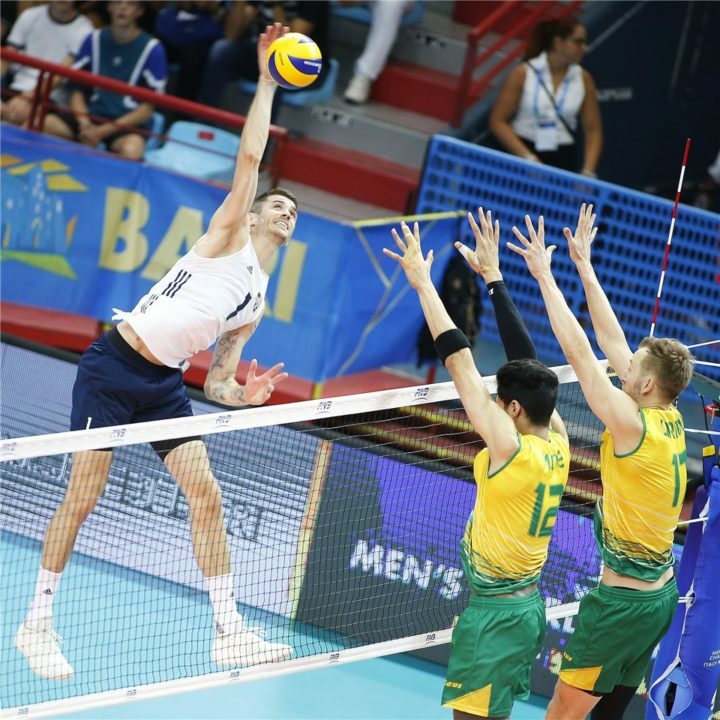 As the FIVB Men’s World Championship heads into the Final Six beginning on Wednesday, here’s a roundup of the statistical leaders through the first two rounds of action. The Final Six begins at 11 a.m. ET Wednesday in Turin, Italy, as Russia takes on Brazil in Pool I. The last six teams are Brazil, Russia, the United States, Poland, Serbia and host Italy. 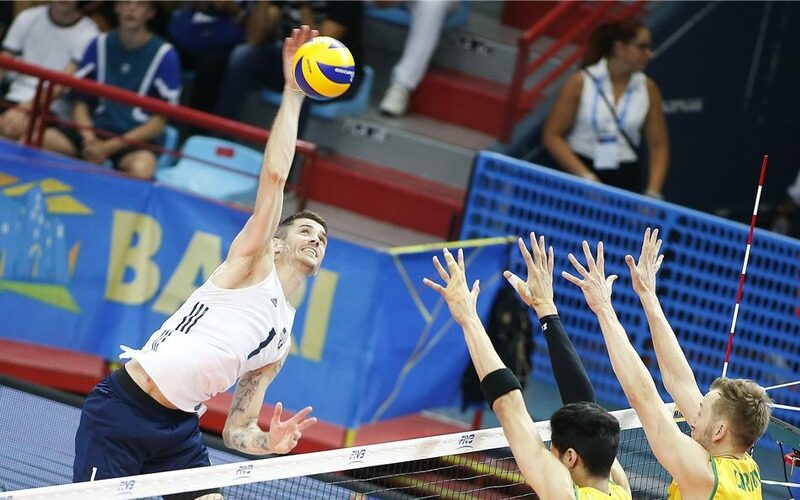 Canada’s John Gordon Perrin is the top scorer of the tournament so far with 149 points (127 kills, 15 blocks, 7 aces). Of the top 10 scorers, just three will still be playing in the Final Six. Italy’s Ivan Zaytsev is the top remaining scorer with 118 points entering the finals (95 kills, 9 blocks, 14 aces). Brazil’s Wallace DeSouza and Douglas Souza have scored 109 points apiece, tied for ninth overall. Poland’s Artur Szalpuk (106) and American Matt Anderson (106) round out the top five moving forward. Anderson is the top player in terms of offensive success with 59.21 percent efficiency including 90 kills and 30 errors. Zaytsev, Douglas Souza and Americans Taylor Sander and Aaron Russell round out the top five. Russia’s Egor Kliuka also ranks among the top 10. Belgium’s Simon Van De Voorde managed 0.80 blocks per set through two rounds to lead the way in net defense. Russia’s Ilyas Kurkaev is the top remaining player (4th overall), checking in with 0.62 stuffs per set. Italy’s Simone Anzani (0.59) also ranks among the top 10. The top three servers of the World Championships are still in the competition in Russia’s Maxim Mikhailov (0.52 aces per set), Zaytsev (0.48) and Sander (0.43). Mikhailov also boasts the most overall aces with 15, followed by Zaytsev and two others with 14 apiece. Italy boasts two players among the top 10 with Osmany Juantorena adding in 0.34 aces per set. Five of the top eight servers are still in the competition led by American Micah Christenson (8.07 assists per set). Also among the Top 10 are Serbia’s Nikola Jovovic (3rd, 5.97 aps), Russia’s Sergey Grankin (5th, 5.14), Brazil’s Bruno Mossa Rezende (6th, 4.67) and Italy’s Simone Giannelli (8th, 3.72). Bulgaria’s Teodor Salparov pulled up 2.31 digs per set to lead the field. Brazil’s Thales Hoss and Poland’s Pawel Zatorski are the top remaining players (1.77). Russia’s Alexey Verbov (1.69) and American Erik Shoji (1.63) follow. France’s Earvin Ngapeth did the best job on serve reception with a 37.67 percent efficiency. Poland’s Zatorski is right behind at 36.00 followed by Americans Sander and Shoji. Michal Kubiak of Poland and Russia’s Verbov also are among the top 10.